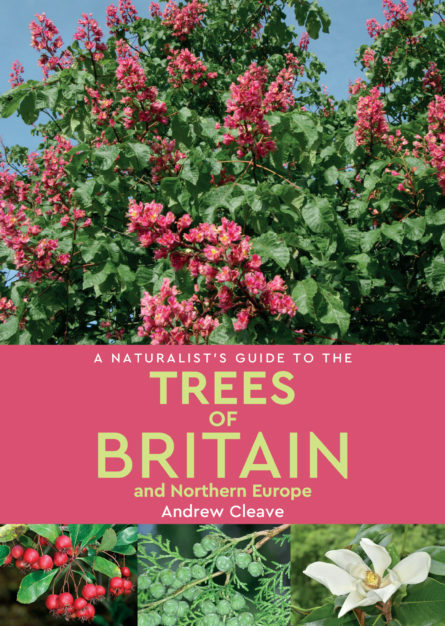 A Naturalist’s Guide to the Trees of Britain & Northern Europe is a photographic identification guide to 280 most commonly seen trees. High quality photographs from Britain’s top nature photographers are accompanied by detailed species descriptions, which include common and scientific name, height, distribution and habitat. The user-friendly introduction covers the different habitats, a definition of what is a tree and how to identify the species, as well as a glossary. Andrew Cleave, formerly the Head of an Environmental Education Centre in Hampshire, took early retirement from teaching in order to spend more time leading natural history tours in Europe, photographing wildlife subjects, and writing and lecturing. He has a particular interest in botanical subjects, but is keen on all aspects of natural history, having written books on trees, wild flowers, coastal wildlife and birds. Andrew was appointed MBE in 1995 for services to environmental education.